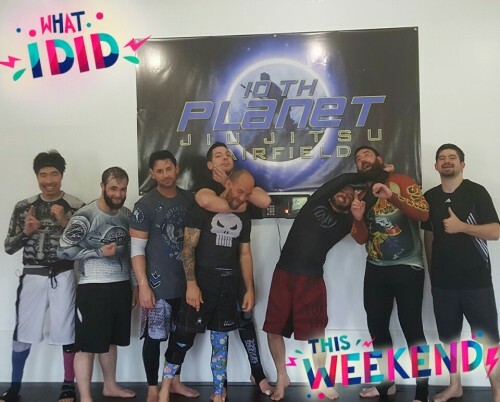 June 18th marks seven weeks since our official grand opening of 10th Planet Fairfield and our class attendance is starting to build and be consistent. It has been great having a wide variety of students from first timers all the way up to black belts. We have been focusing hard on the 10th Planet Warm Ups and breaking down every position and detail. The Warm Ups are the skeleton and fundamentals of 10th Planet Jiu Jitsu and we want to ensure that our students of all levels master them. Having such a broad range of experience levels in class has really pushed me to evaluate my teaching techniques and improve as an instructor. Speaking in broad terms, the student in their first class typically needs to have the drills broken down into smaller movements and have the details explained and demonstrated. However, extremely minuscule details along the lines of “move your thumb a half inch over on that grip” might detract the student from seeing and understanding the big picture of what is being taught. 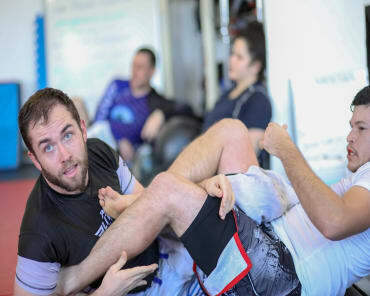 The dichotomy is that the more experienced students may not need to spend as much time breaking down the movements in the drills, but could possibly benefit from the minuscule details and fine tuning of positions. My favorite part about teaching jiu jitsu is that it forces me to constantly be learning and improving myself. Teaching forces me to break down my movements, extract and explain the details of what I am doing, and improve my methods of communicating. If a student is not understanding a technique the way I am explaining it then I must immediately find a method to explain it in a manner that works for them. When I attended the 10th Planet East Coast Training Camp back in October, I took away a lot of great techniques and concepts but my biggest take away was the high level of teaching by each instructor. Attending seminars with a variety of experienced instructors from around the country made me aware of how much I had to learn about teaching. They each had their own unique teaching style but all were very concise and effective. Just knowing jiu jitsu is not enough to be a successful instructor. You must also be effective at communicating the knowledge to the students in a way that they can comprehend. I am fortunate to have learned under a great instructor up to purple belt and have had the opportunities to train under many other good and not so good instructors. I have learned that there are different levels in teaching just as there are different ranks in jiu jitsu. While working towards being a black belt in jiu jitsu, I also strive to be a black belt level teacher to provide the highest possible level of instruction to our students.